A good portion of my recent COMC order was spent on hockey, almost 40% of the order was puck related. Much like the post from the other day, this post features cards from a lot of different sets. The only difference is there is a mix of old and new. The 2012-13 & 2013-14 O-Pee-Chee set builds that I'm working on are like any Topps Heritage set, full of SPs that have some expensive cards and take an extended time to build. I guess I'm also describing any vintage set as well, so maybe modern and vintage sets aren't so different? The 6 cards you see above are all short prints; between the two sets I have about 90 SPs still to pick up. Two mid 90's parallel sets that I've barely touch over the past several months are featured above. I honestly can't remember the last time I pulled any 94-95 Electric Ice cards; I grabbed the Hasek and Hull cards on the cheap and maybe sometime in the near future I'll grab some more. 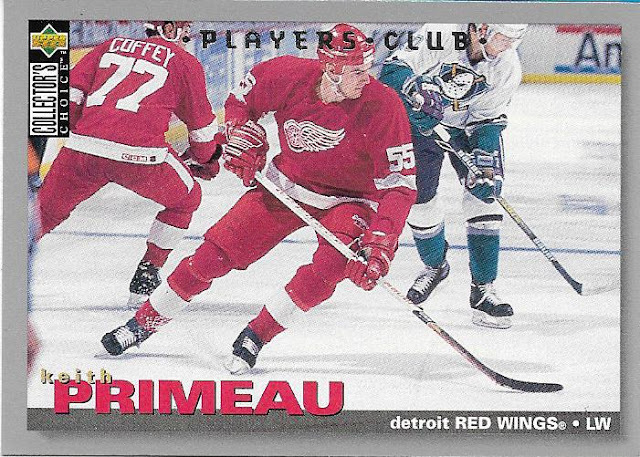 The Players Club parallel card of Red Wings Keith Primeau features a Mighty Duck player in the classic uniform from the 90's. 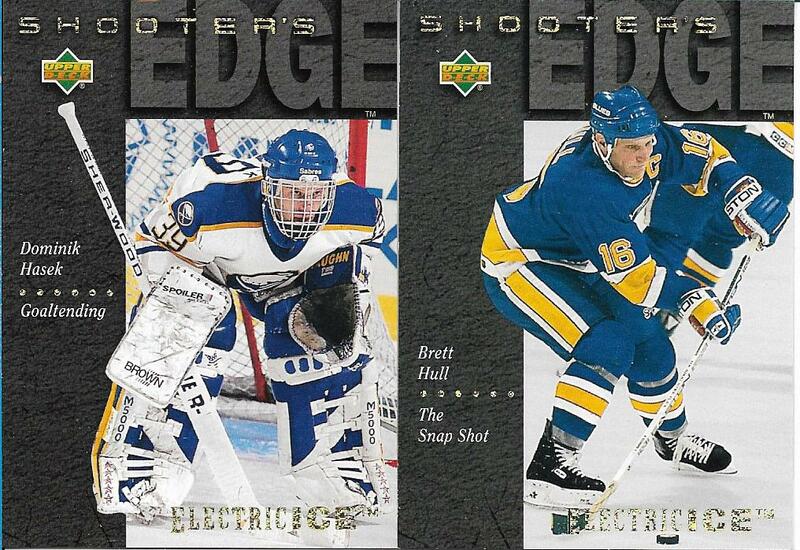 I'd love to see these brought back as a 3rd uniform or maybe worn in an outdoor game in the years to come. The teal and purple was a great combo back then and had a lot more pizazz than the current black and orange sported by the Ducks. The 9 cards above from the 76-77 OPC set above a quite representative of the 49 cards I have left to complete the set. Very few commons, some star cards like Brad Park and Reggie Leach, some big name players like Marcel Dionne, and a few team cards such as the Kings card on the bottom. With less than 50 to go, this might be a set that I start focusing on in the short term in order to get it out of the way. 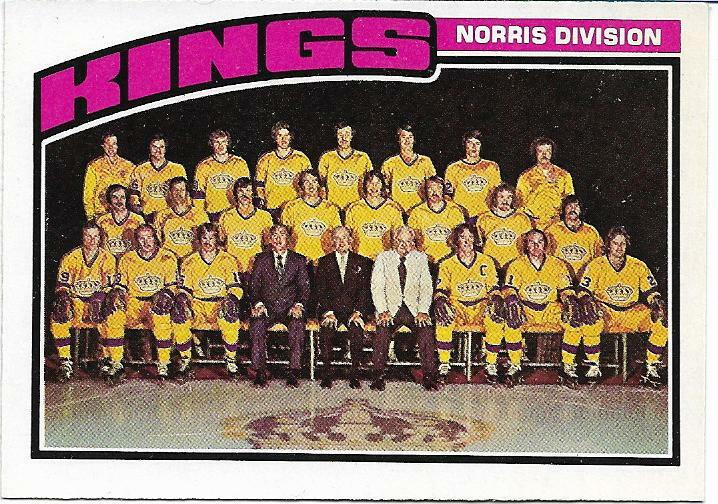 The only major RC left is Tiger Williams, which is a card that in NM condition is going to run around $25. 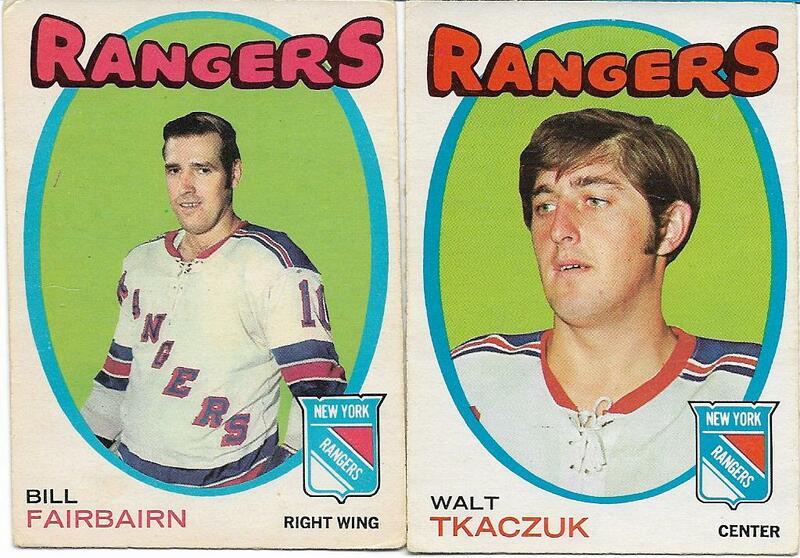 Other big name cards that I still need are Guy LaFleur and Ken Dryden, both of which will cost about the same. Compared to a lot of other sets I'm building, finishing this one will be comparatively cheap. Finally, the 71-72 OPC set is one that I'll enjoy building for quite a long time. 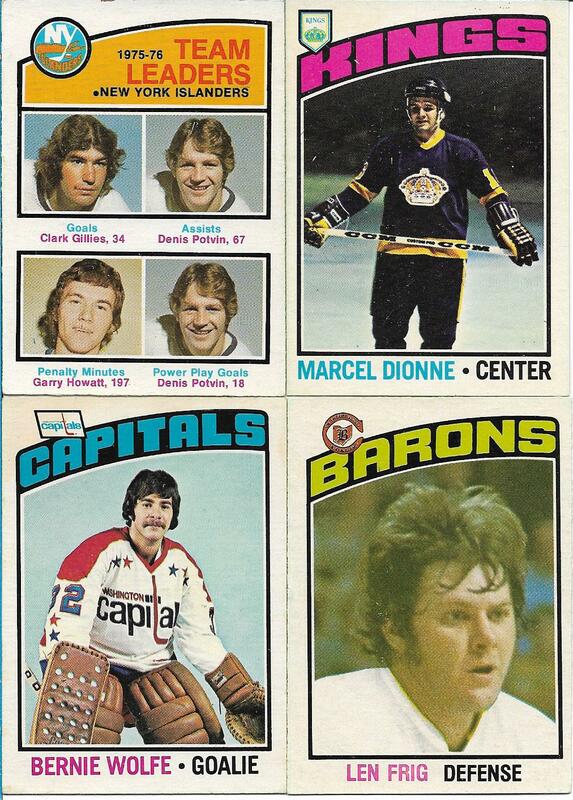 I know that the big name Rookie Cards such as Dryden, Lafleur and Dionne will cost a small fortune (potentially a couple of car payments for those 3 alone) and a lot of the bigger names will run $10 and more so I'm not putting any pressure on myself to pick these up quickly. The set size being only 264 cards will make things a bit easier; I'm already 20% of the way through and haven't spent a whole lot of money so far. 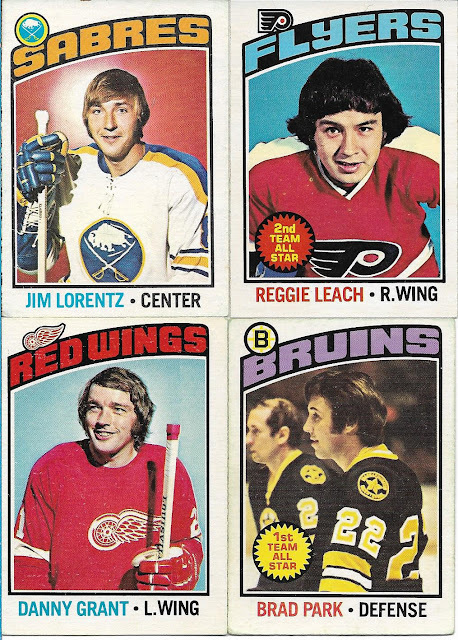 Sometimes it's interesting what you realize while writing a post; knowing that I'm as close as I am to finishing the 76-77 set that it should be something I focus on in the short term. Those are some great vintage! I love the Hasek too! Hate the Red Wings, but love that Primeau! It's such a great looking card. Great photo cropping.